The Boarding House brings to life the community spirit of the School and it is a place with a warm and caring environment, full of fun and laughter. Older pupils often participate in weekly boarding from Monday to Thursday, this brings with it many advantages. 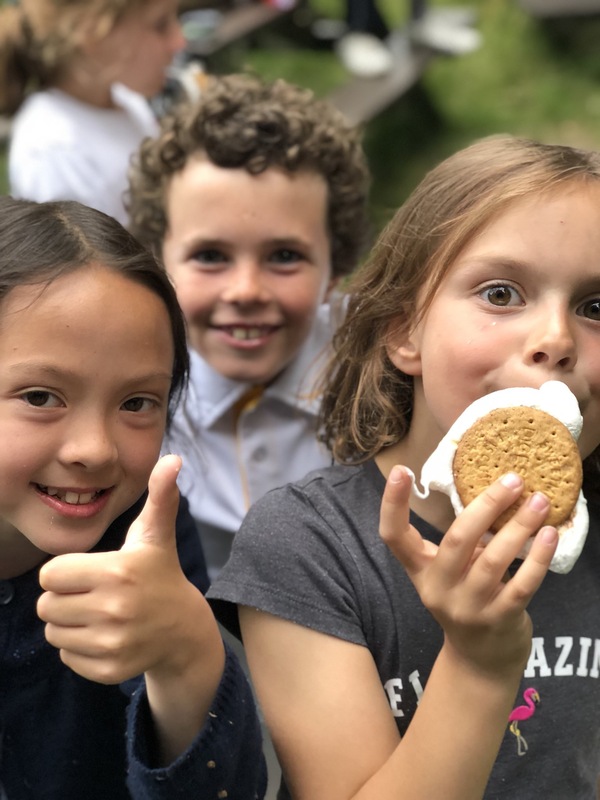 Learning about boarding life before starting senior school in a gentle and relaxed environment makes transition extremely easy when the pupils move on. The consistency of the routine also helps children to feel more settled and increases the feeling of belonging to the boarding community. Some children like to build-up their boarding experience more slowly and instead choose to stay for one or two nights every week. These nights are booked-in for the term ahead and the children’s beds are kept free for them to use. However, the availability of these places is limited and where there is competition for beds, priority will be given firstly to full boarders, and then to Year 8 boarders. Where family circumstances dictate, we are happy to take occasional boarders provided there is sufficient space. You can find all of our Boarding fees here. Click here for a comprehensive A-Z Guide of our Boarding department, including staff, facilities and all the fun activities on offer. Boarding enhances the overall experience of pupils in the school. Edgeborough offers a modern take, providing a safe, home from home environment. It is an exciting opportunity to stay overnight with friends – either flexi or weekly from Monday to Friday (4 nights a week). We try to be as flexible as possible to tailor the experience to your needs. We fully utilise all the available facilities and grounds – invaluable if you are considering boarding at a senior school in the future. The Boarding House is run by Mrs Jones and her husband David who is also the Director of Sport. In addition, Mr Yates is the Assistant Housemaster and supported by his wife Hannah. Mr Yates is also a fulltime teacher and Form Tutor. The boarding team is also ably assisted by the Matron, Miss Fleming Chart, and four GAP year students so there are plenty of staff around to support and nurture your child. The Boarding House is situated in the main house, Frensham Place, and can facilitate 52 boarders. There is a cosy Common Room where all the girls and boys can mix and relax whilst watching TV or playing games and also a newly refurbished kitchen which is the hub of the house and is always a hive of activity. The house provides an atmosphere that develops trust, respect and a sense of responsibility, as well as a strong sense of community. The dormitories vary in size from four beds to ten. There is ample storage and space, while bed linen is provided to ease the pressure on already busy parents. Snacks and opportunities to cook are always on the agenda with the boarders and they have access to a variety of optional snacks such as fruit, cereal and toast during the evening. Boarders also have the opportunity to try their hand at baking and making pizzas amongst other tasty things. There is always squash and water available and in the frostier months there is an abundance of hot chocolate. The Boarding Staff operate an open door policy and are accessible to all boarders always. Open curtains, make beds, clear floor, and prepare for day the ahead. Meet in Common Room for daily notices. Brush teeth and collect what is needed for the day. Those requiring medication go to see Matron. Those not boarding, please leave your overnight bag in the Common Room. Music practice opportunity! Those coming in please leave your bag at bottom of your bed. Check what’s on and what you have signed-up for. Make sure you sign-in with the member of staff on duty. Our rooms vary in their size and shape, but all are homely and welcoming. Boarders are encouraged to personalise the dorms with posters, photos and so on. Flexi and weekly boarders may also bring in their own duvet covers to further increase the feeling of a ‘home from home’. This bedding will be stored under their bed when not in use. What additional items are required by boarders? Individual items such as iPods and PSPs may be brought into the boarding house but they must not have either cameras or internet capability. They should also be clearly named and the parents must be able to vouch for the suitability of all their content. It is also recommended that they are listed as part of your own home contents insurance. Pupils are not able to use mobile phones. What happens if my child is ill while boarding? Matron will keep you informed of all the health matters concerning your child. Should your child fall ill at school, Matron will contact you and discuss the situation. It is quite normal these days for children to go home if they are unwell but children may stay at school in Sick Bay in certain circumstances. We have a special arrangement with local doctors’ surgery in Farnham. They are on hand to answer queries from Matron, offer practical advice and will send a doctor to the school when the need arises. How do I keep in touch with my child? Pupils have access to a land line phone during the evenings. Emergency calls can be made at all times, either through the school office or via the Housemaster’s flat.